This is part 3 in the Building a Portfolio series. After making an investment plan and building defenses in the previous parts, this article will deal with diversification. It’s a strategy that is proven to work for any investor with long term financial goals. This article will explain why this strategy should not be ignored when building an investment portfolio. Diversification means spreading investments over different categories, styles and markets. It prevents an investor from becoming over-exposed to risks from individual investments. Figure 1 shows an exaggeration of this phenomenon. If the investor would put all his money in either asset A or asset B, it would mean that he would be exposed to a lot of volatility (highly fluctuating value). If the investor instead would have invested 50/50 in both assets, the growth would be far less volatile and more stable. It also reduces stress compared to single asset investments. Highly volatile assets have sharp drops, which represent extreme losses in value. Most people would sell assets by this point. These drops are far less extreme in the diversified portfolio. 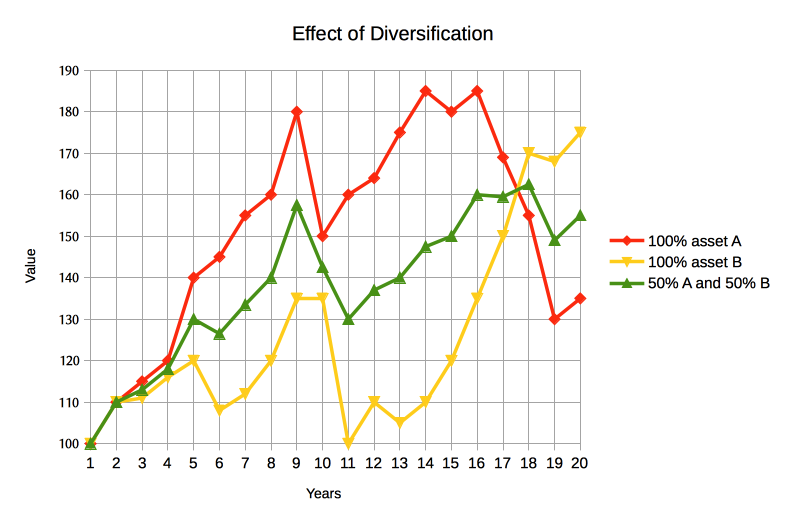 Figure 1: Effect of diversification between asset A and asset B.
MFS Investment Management (MFS.com) have extensively researched the benefits of diversification. In their research they have tracked eight broad asset classes (e.g. commodities, large cap growth stocks, global bonds) and reported the annual returns for all classes over 20 years. All classes were highly volatile which resulted in highly fluctuating annual returns for each class. These were compared with a diversified portfolio, which resulted in a much more balanced annual return over these 20 years. The results from this research can be found here. To effectively apply diversification, investors should be aware of two rules that should be followed. First, resist the urge to buy into hypes. Hypes are almost always followed by deep crashes. Most of the time when a subject has become a hype, it is too late to invest in it. During hypes the prices are extremely overvalued, which will negatively affect returns. For an example of a hype that resulted in a market crash afterwards: look at the dotcom bubble in 2000. Second, don’t look at returns from individual assets. Look at the total result of your portfolio instead. It doesn’t matter if a single asset has a positive rate of return when the result of the combined portfolio is still negative. In this case the investor still lost money, even though his single asset performed admirably. I mention this because some investors are emotionally attached to particular assets, especially from companies they work at. Be cold and calculating when it comes to picking assets. Sell those that do not perform well or are scarred by negative developments. Diversification is made easy by investing in managed funds or ETFs (see Derivatives and Other Tradable Products). These funds allow the investor to maximize diversification with relatively low costs. Most funds also allow the investor to invest in specific markets, making mutual funds and ETFs essential tools for any properly diversified portfolio. This is just an example portfolio that works for me. It is quite an offensive portfolio that might nog work for everyone. Always look at your goal first and diversify your portfolio accordingly. This is the final article in the Building a Portfolio series. Diversification is a proven strategy that works for any investor with a long term financial plan. It ensures a stable return over time and minimizes the risk of losing money due to crashes in single assets.